Another great historic site located on Naval Base Point Loma - Ballast Point in San Diego is the site of the Ballast Point Whaling Station. 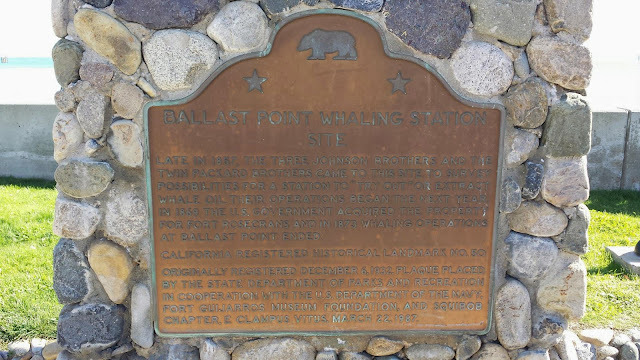 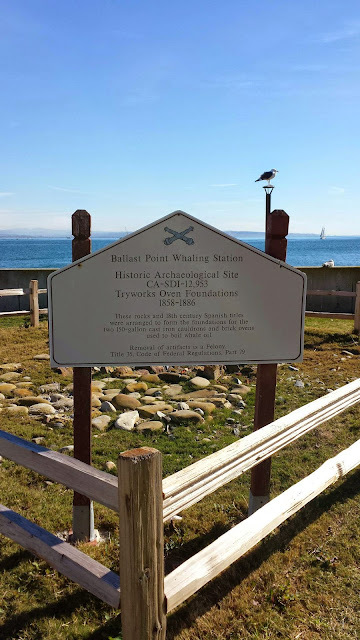 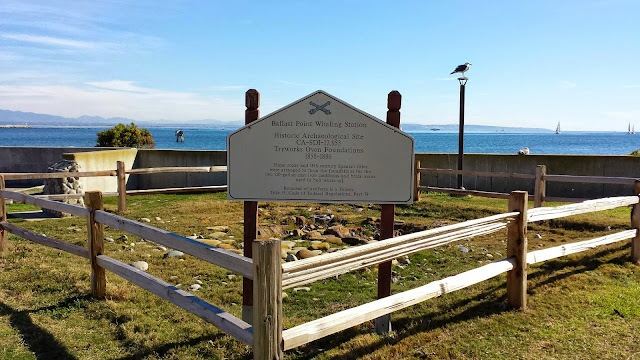 Whaling operations began on Ballast Point in 1857, when the three Johnson brothers and the twin Packard brothers came to this site to survey possibilities for a station to 'try out' or extract whale oil. 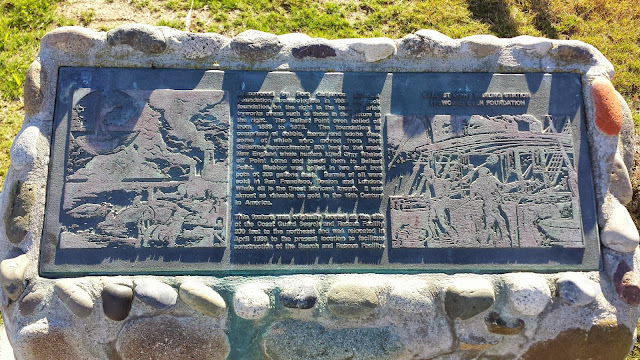 Their operations began the next year. 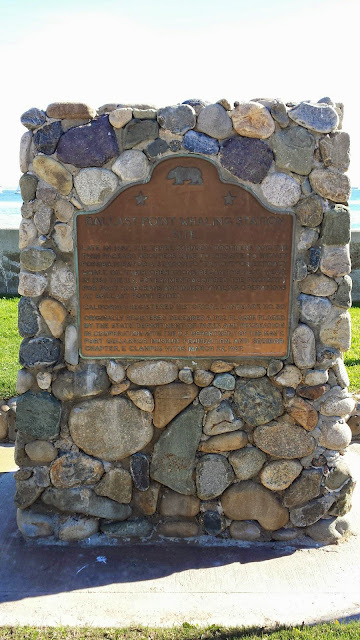 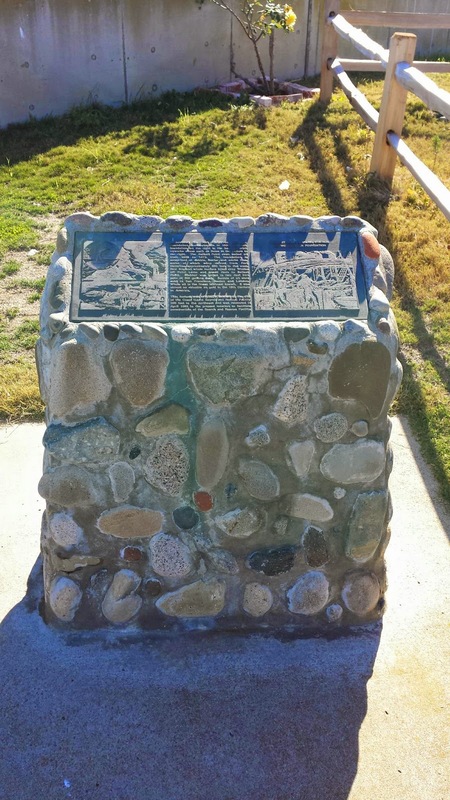 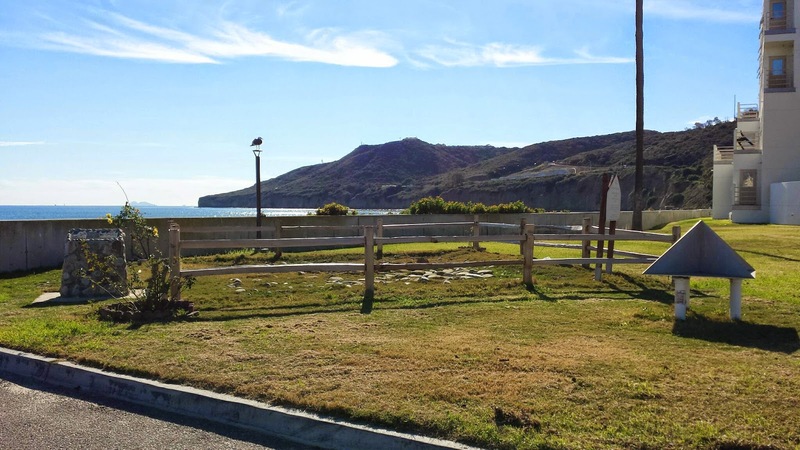 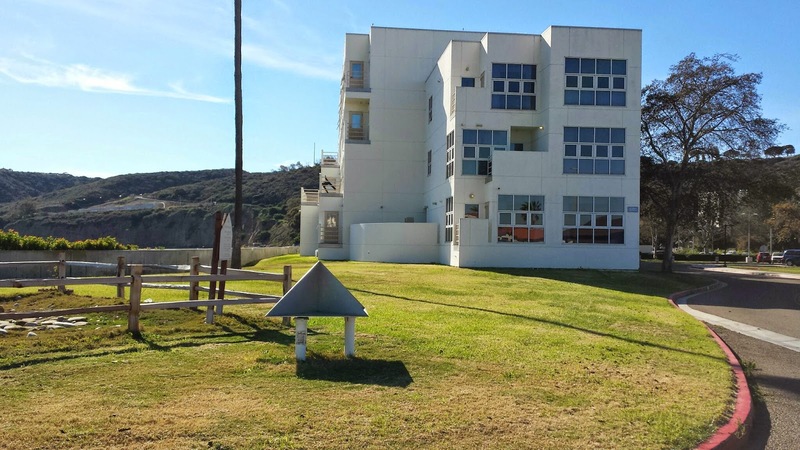 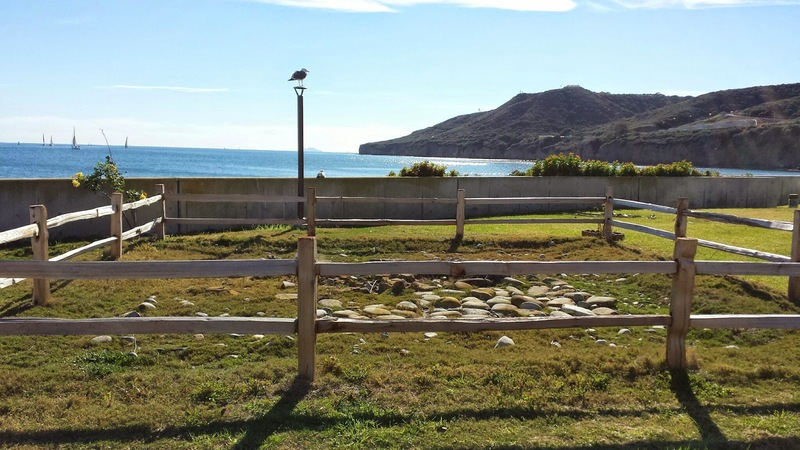 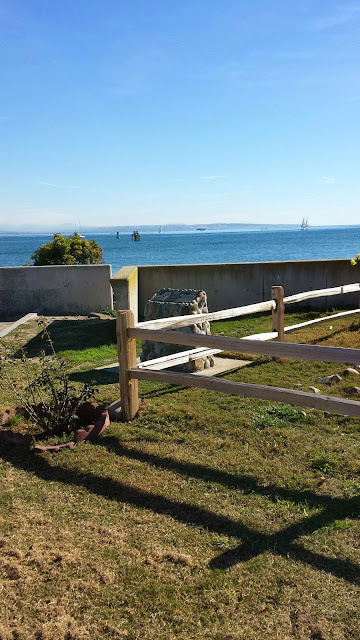 In 1869 the U.S. Government acquired the property for Fort Rosecrans and in 1873 whaling operations at Ballast Point ended. 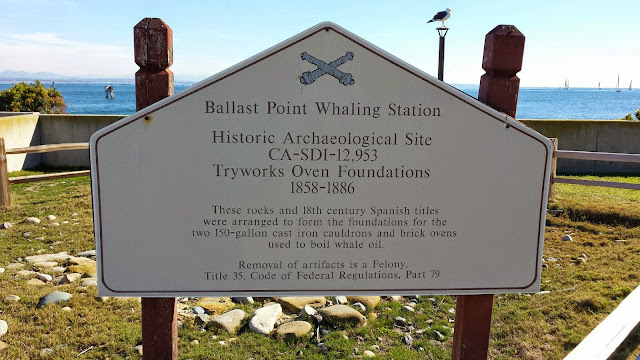 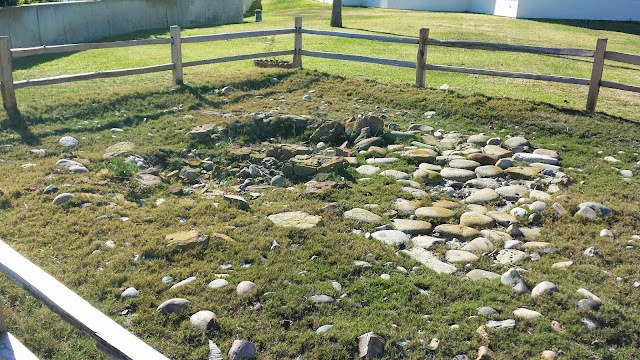 Archaeological digs on the site have uncovered remnants of the two 150-gallon cast iron cauldrons and brick ovens that were used to boil whale oil.